​It's finally spring on the East coast! Most of us welcome springtime; excited to wave goodbye to freezing temperatures and snow, and looking forward to the warm sun, beautiful flowers, and vacations with friends and family! But for people with allergies, the warmer weather also means stuffy noses, headaches, watery eyes and all-over misery. ​​​There's really no avoiding the weather or the outdoor allergens. However, you can minimize the effects of allergens inside your home with these HVAC tips. ​Despite how the outdoors may trigger your symptoms, the answer is not to shut the outside air out of your home. This will only keep stale air inside your home. Indoor allergens can build up and make you just as sick, or worse. Fresh air is critical for allergy sufferers, and the right ventilation system will keep the allergens - and the suffering - to a minimum. HEPA stands for High Efficiency Particulate Air and it works by forcing air through a mesh that traps allergens like dust, pollen and pet dander. Keep in mind that HEPA filters have larger pressure drops and can adversely affect airflow through the furnace, reducing its heating and cooling performance. Give us a call before replacing your regular filter; we'd be happy to help determine if a HEPA filter is right for your home. You have a couple options when shopping for an air purifier. One option is to purchase a portable unit, which filters the air in just one room, but is inexpensive, and can be moved from room to room. Or, you may choose a whole-house purifier, which is integrated into your HVAC distribution system. You can choose between filters, ionizers, UV Light purifiers or adsorbents like activated charcoal. Ionizers charge dust and other particles so that they either stick to charged plates in the ionizer or bond with other particles and become too heavy to remain airborne. UV light neutralizes and kills microorganisms. Adsorbent materials, like charcoal, trap particles on its surface and in its pores. Dust and other allergens can build up in your ductwork and get distributed throughout your home. It's important to have your ductwork cleaned regularly to keep your air clean and free from these eye-itching, nose-tickling particles. Having the correct balance of humidity in your home is crucial in the fight against allergy symptoms. Too much moisture causes mold, which worsens symptoms; and too little can dry out mucus membranes, giving easy entry to allergens and germs. Installing a humidifier or dehumidifier (depending on the climate where you live) will work to keep moisture levels at the ideal 30-50%, and help you fight allergies and their unwelcome symptoms. ​​If you have noticed issues with the air quality in your home and want to find ways to reduce your allergy symptoms this spring, give us a call and we can help you make the necessary changes to your home’s HVAC system. Call us today, at 866-624-5970 or complete our contact form to schedule a visit from one of our highly qualified technicians. ​Sick of winter yet? We sure are! These cold days have us longing for a warm spring day to spend outside in the sun! But the need for gloves, scarves, layers (and layers), and a puffy coat isn’t the only thing about winter causing us discomfort. What makes winter even more unbearable is the lack of humidity in the air. If the word ‘humidity’ makes you think of a hot August day in the deep south, you might be thinking, “Are you crazy! Humidity is the worst! It’s sticky and sweaty, and it makes my hair frizz.” Yes, there is such a thing as too much humidity; but it’s important for our health and comfort to have the right amount, especially in our home, office, and anywhere else we spend a lot of time. 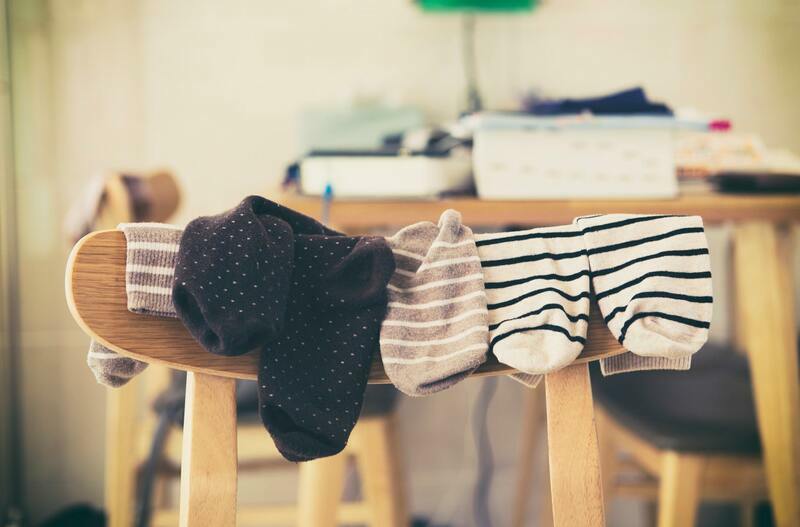 Without the right balance, indoor air can end up being way too dry. Dry air can cause a variety of problems, not only for our comfort and health, but also for the health of our homes. So, what can you do about it? Thankfully, this is an easy problem to fix. And even better, you've got options! There are many different kinds of humidifiers, depending on your specific needs and budget. 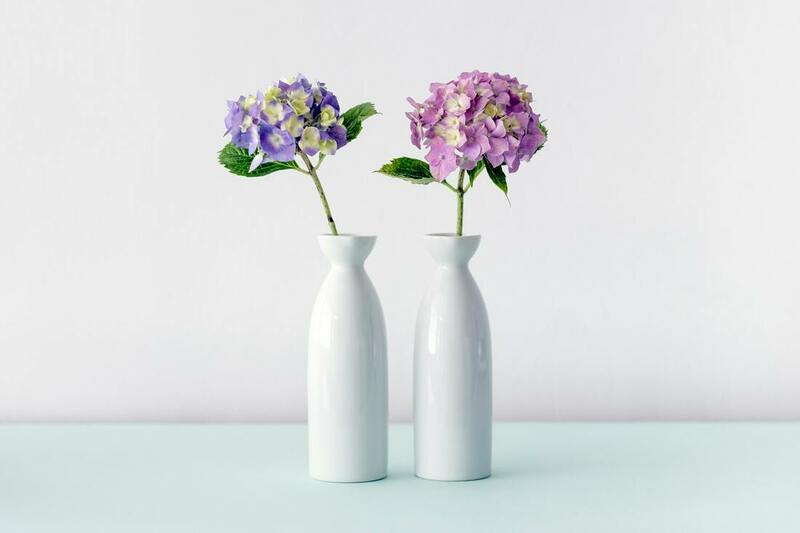 So, if your lips are cracked, your eyes are dry, or that cold just won't quit, it might be time to consider a humidifier... or a couple of nice vases! Here in Maryland, temperatures are well below freezing today. And with a wind chill below zero, you may be finding it hard to get and stay warm. Staying warm is important not only for our comfort, but also for our health. 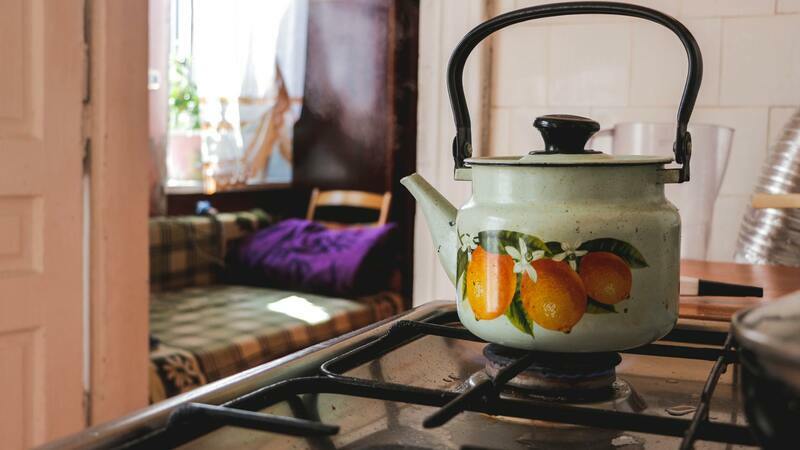 Here are some tips for staying warm (and protect your home) when temperatures are dropping outside. Layer up! This one speaks for itself. Cut down on alcohol and nicotine. While they may initially make you feel warmer, they are actually causing heat to leave your body. Finish your shower with cold water. Although hot water will warm you up, once you leave the shower, you will go back to feeling cold. Ending your shower with cold water will get your blood circulating which will help you feel warmer and avoid the shock of going from one extreme to another. Another perk – cold showers also help strengthen your immune system! Make use of your ceiling fan. You read that right! Most ceiling fans have a cold weather setting, which spins clockwise, moving the cool air up to the ceiling and warm air downward. Open the faucets in your home to a very slow drip. You may be concerned about wasting water, but it's not much, and keeping the faucets open relieves pressure in the pipes, preventing them from freezing. Install foam pipe insulation. It is inexpensive, easy to apply, and available at all hardware stores. Open cabinet doors below sinks (and wherever pipes are exposed – especially on exterior walls) to allow heat easier access to pipes, and help prevent freezing. Make sure the outside water hose is no longer connected to the water line. If it is, the frigid temperature can cause the water and hose to freeze. Roll up a long towel or two and shove them into, or in front of, the open space under your door. This will keep the heat from escaping as easily. If your windows seem to be letting extra cold air in, invest in a window insulator kit. They are very inexpensive, easy to install, and can be found at any hardware store. Cover windows with light blankets to block the cold air from entering. Use a humidifier. The most effective option is to have one installed in conjunction with your heating and cooling system; but you can also use a stand alone unit. In winter, the air is much dryer. Without that necessary moisture, our skin dries out much easier, as does the mucous in our bodies, making it harder to stave off infections. In addition, with less moisture, the air feels much colder than it is. Adding humidity back into the air will help your home feel much more comfortable. Bonus: Static electricity can be caused when the air is too dry. Increase the humidity levels, and you will reduce that static shock! Geothermal energy has been used for thousands of years; starting with making use of hot springs for bathing and district heating. It wasn’t until the 1940’s that a heat pump system was successfully installed for commercial use. 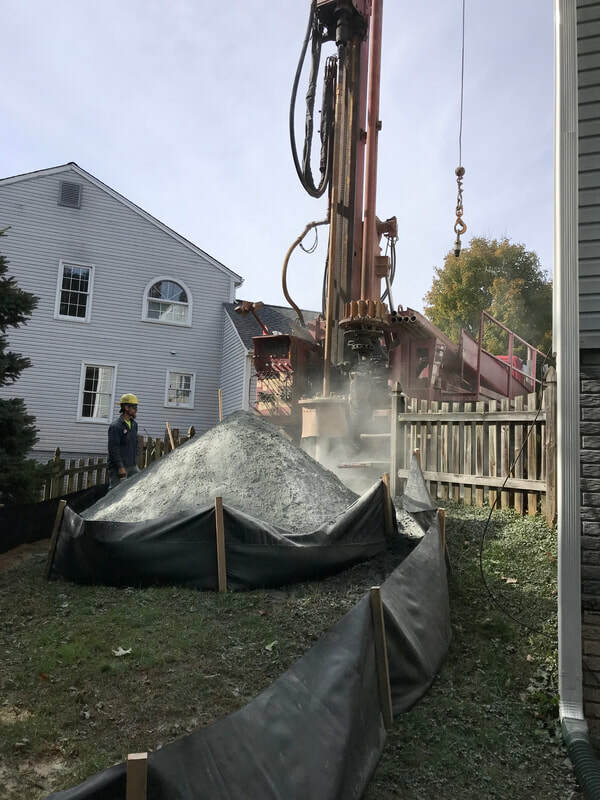 Since then, the use of geothermal heating and cooling has increased significantly, and it is now available for homeowners. So how does geothermal work, anyway? The Earth’s temperature remains essentially constant throughout the year. Using heat pumps, heat can either be taken from the Earth and used to warm your home in winter, or heat can be transferred from your home into the ground in summer. In order to achieve this, several components work together. Outside, horizontal or vertical geothermal ground loop pipes are installed for the heat transfer liquid (usually a glycol mixture). These pipes are connected to the heat pump, which does the work of providing the right temperature to your home. Then there’s the distribution system, which may be hydronic (water-based) or an air handler. 1. Energy bills decrease because you are only paying for electricity to run heat pumps. Unlike electric heat, the electricity used for a geothermal system is for running the heat pumps, which is less than that needed to provide heat directly. According to the US Environmental Protection Agency (EPA), geothermal systems can save you 30-70% of heating costs and 20-50% of your cooling costs. 2. Geothermal energy is environmentally friendly. There are no greenhouse gases as with a furnace and it’s a renewable energy source. 3. The equipment is hidden in a mechanical room, so you don't have to worry about how it looks. Piping is buried in your yard and all controls, valves and piping reside in the mechanical room, out of sight. You also have the added benefit of quiet operation. 4. Geothermal heat pumps have lower maintenance costs and longer lifespans than traditional heating and cooling equipment, saving you money in the long run. 5. Geothermal systems are safer for your family. There is no risk of carbon monoxide poisoning as there is with fossil fuel burning equipment. ​6. Beginning February 2018, homeowners with geothermal systems, among other sources of renewable energy, can claim a 30% tax credit. Click here for more information about renewable energy tax rebates. There are some things to keep in mind when deciding to make the switch, however. 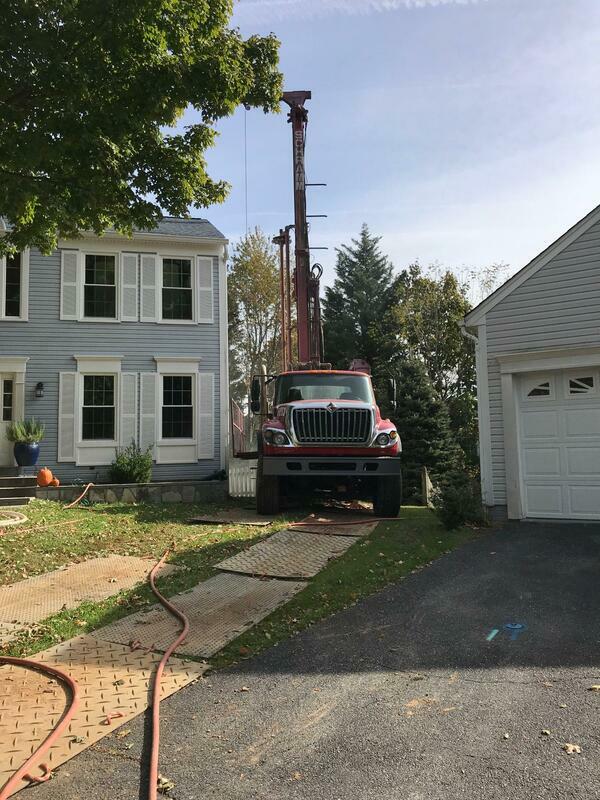 The initial installation cost can seem a bit daunting, but geothermal heating and cooling will save you significant money in the long run. 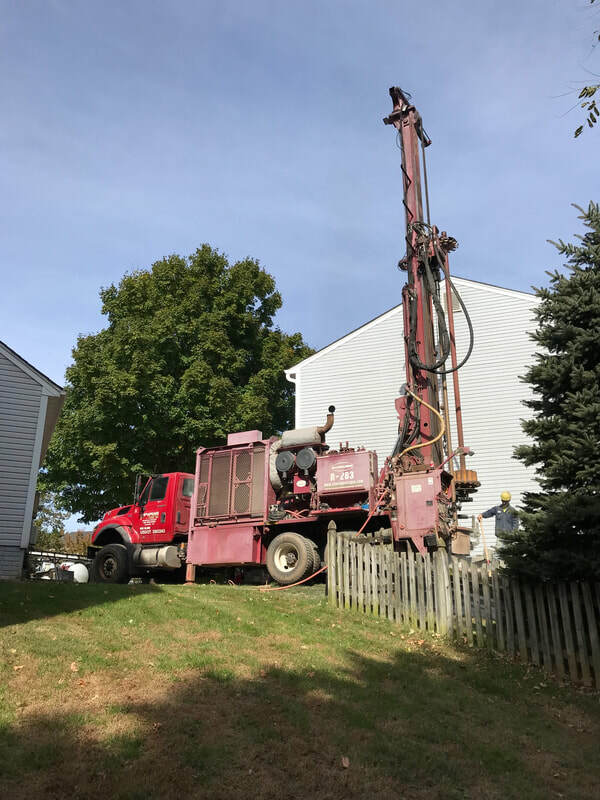 When considering, and planning for, a geothermal system, be sure to speak with our experts about the number of wells, the right size of equipment for your home, whether to install horizontal loops or vertical loops, and whether you’ll want supplemental heating. If you are thinking about upgrading to geothermal heating and cooling, give us a call! We're happy to discuss all of the benefits, and help you get started. ​When it comes to lowering your energy consumption, there is no better way than installing the best heating and cooling systems available today. 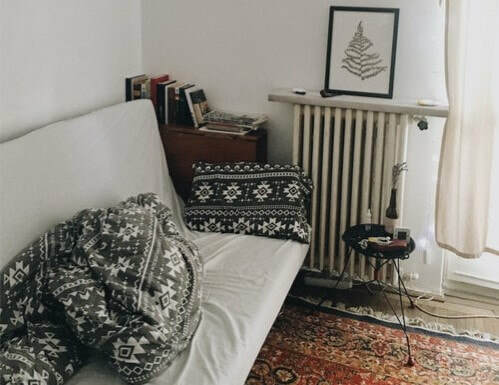 Typically, when your environment reaches an undesirable temperature, you would rely on your home appliances, such as your electric fans, air conditioning units, heaters, etc, to achieve a comfortable indoor atmosphere. However, you must know that using these machines too often will lead to higher energy costs. ​With the help of various heating and cooling systems, you won't need to sacrifice your comfort just to lower your energy consumption; but installing these types of equipment can be quite complex. So before the professionals even begin installations, your property must first undergo a process called Energy Analysis. Energy Analysis is a method in which an energy auditor will inspect your home and determine which areas of your property are experiencing energy saving problems. It can be treated like a routine checkup at the doctors, but instead of looking for what is bothering the body, the energy auditor will look into the structure of your home. They will check for both air and water leaks, faulty wiring, damaged systems, and any other problematic issues, so that they would know what steps to take to optimize your home’s energy saving capabilities. As previously mentioned, this method will enable you and the auditor to know which areas of your home are causing too much energy consumption. By doing so, you can immediately rectify these problems. Also, by determining how much energy your property has wasted and/or saved, the auditor will provide you with the proper heating and/or cooling systems to maximize your home’s energy saving capabilities, without having to spend too much on unnecessary equipment. If you believe your property is not using energy efficiently, call TriState Home Services today at 866-624-5970 or complete our contact form, and we will be happy to help. 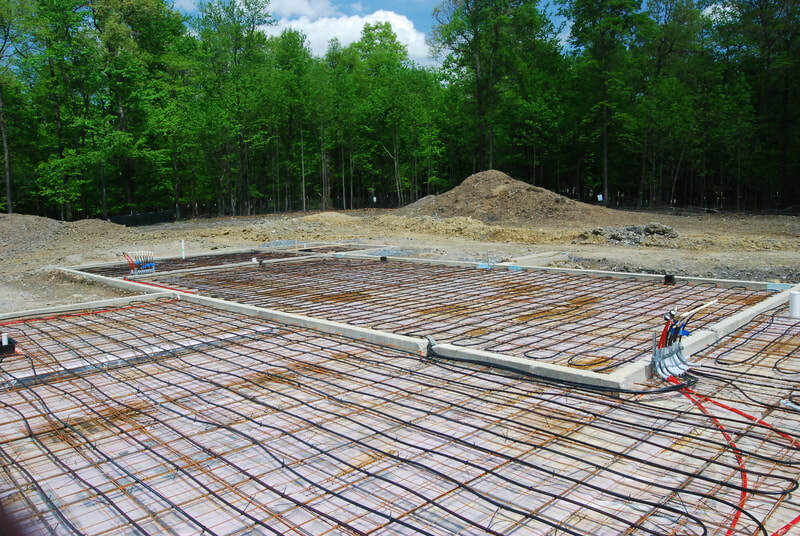 This new construction, single family home is using the best heating method, radiant floor heating. Radiant floor heating is extremely comfortable, silent and efficient. This home will feature the latest energy efficient geothermal technology for year round comfort. More photos of this project to come! Floor heating can be installed in just one room, or an entire house - and in brand new construction, or in existing homes. It provides quieter, cleaner, and more even heating. 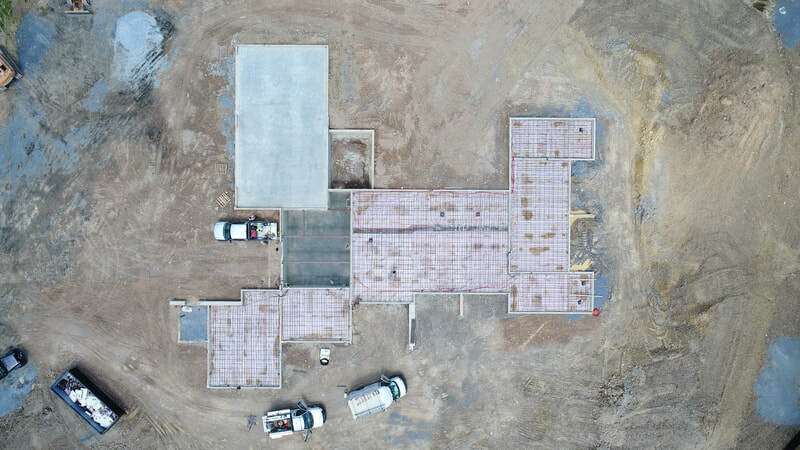 While it can be a little more costly to install, radiant floor heating saves you money in the long run, because it is more energy efficient than other heating methods. 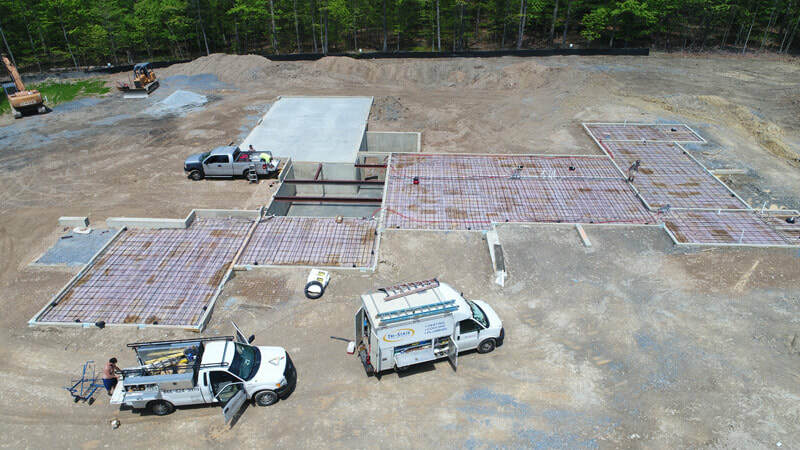 For more information about radiant floor heating, visit our website here or email us and we will be in touch! Can you imagine what lower energy consumption can do for you and your home? Not only will it help save you money, but it will also help your home maintain cooling and heating, to keep you and your family comfortable. Although some people may think that lowering your energy consumption will also lessen the comfort in your home, that's not completely true. You can decrease energy consumption just by removing energy-wasting elements. In order to find out where your energy usage is going to waste, you need to run a home energy audit. An energy audit is essentially an inspection of how energy flows and is used in a home, taking into consideration factors that can be addressed to improve energy efficiency in cooling and heating. An audit of your home’s energy efficiency will include comprehensive overviews of your walls, floors, doors, ceilings, and even skylights. This is to determine a leakage rate, which affects the energy consumption of your home. The energy audit will also show you whether or not your heating and cooling systems are working properly, whether door seals and weather stripping are doing their jobs, and if your insulation is properly installed. Once the audit is complete, you will know what changes need to be made in order for your home’s thermal performance to improve. Make a Habit of Turning Off – If a room is empty, turn the lights off. If a computer is not in use, turn it off. Turning off electronics when they are not being used will help save you hundreds of dollars in energy costs. Unplug Anything Not in Use – If you want to go a step further, unplug electronics that are not being used. Even when some appliances are turned off, they still consume energy if left plugged in. Some people call this an energy vampire, while others call it an energy leak. Whatever term is used, in order to prevent energy from going to waste and increasing your energy costs, unplugging is recommended. Use Power Strips – If unplugging is too tedious, consider using power strips that you can switch off when not in use. Although they are still plugged in, power strips stop electricity from flowing when the switch is off. These are just a few habits you can adopt to help lower your energy costs. Other things to consider include using more energy efficient lighting options, using appliances effectively, and having an energy monitoring meter in your home. TriState Home Services offers $100 Energy Audits for Maryland Energy Rebate Customers (for homes up to 3000 sq. Ft. with one heating and cooling system). To request an energy audit or to discover how you can save on energy costs in Frederick, MD or surrounding areas, contact TriState Home Services today. We can help you address these energy wasting issues in your home with services that include insulation, air sealing, ductwork, and more. Call us today at 866-624-5970 or complete our contact form.